Last week we spoke about the difference between science and religion. We said it could be conceptualised as one between belief and facts. The more, we investigated, however, what a fact is, the less certain we became of its status as a starting point for scientific investigation. Common sense might tell us that facts are just out there and we simply observe them and scientific theories are merely collections of these observations, but when we look at the history of science, however, this is not how science works. What we take as facts are already determined by the way we understand and see the world, and our observations are equally shaped by this background conceptuality. In the next two lectures, we are going to investigate the problem of induction, which is probably the classic form of the philosophy of science, and we shall see that we’ll come up against the same barrier again. Moreover, the knowledge that science has of the world cannot itself be infallible, because of the very way that it interprets these facts. In this lecture, however, we’ll give a positive account of induction through Francis Bacon’s method in Novum Organum (1620) and we will investigate the problems of induction in the next lecture. Ordinarily we might think that scientific theories are obtained from facts through observation and this is what makes it different from belief. But what does it exactly mean that theories are obtained or derived from facts? How do we get from the one to the other? What we mean here is something logical rather than temporal. We don’t just mean that first there is a collection of facts, and then a theory, as though facts were just pebbles on a beach that we pick up. A theory, on the contrary, is supposed to tell us something about these facts before we have even discovered them. It is about meaning and context, rather than just what comes first or second in a temporal order. What is important here is that it’s the form of the argument itself that is wrong. The conclusion does not follow from the premises even if one accepts them. Bess could be any kind of animal. What is positive about deductive arguments is that they are truth preserving. That is, if the premises are true and the argument is valid, then the conclusion is. The problem is that the conclusion does not contain any more information than the premises. It does not tell you anything more about the world and surely this is what science does. Although science uses logic and mathematics, it does tell us something new about the phenomena we observe. If it did not, then there wouldn’t be different theories about the world. If scientific theories don’t come from facts logically, then how are they derived? The answer must be through experience itself inductively. What do we mean by induction? First of all, the difference between deductive and inductive arguments is that in the latter the conclusion always goes beyond what is contained in the premises, as the example above shows. I can never be certain that all metals will expand when heated, because this is precisely what I assert when I move from singular instances (this metal expands when heated) to the universal judgement that all do so. It is precisely for this reason that English philosopher and scientist Francis Bacon can up with his ‘new method’. First this method is negative. The point is that we should avoid falling into bad arguments rather than coming up with new deductive ones. Bacon’s method is rules about how to practice science by avoiding some of the worst errors. These errors he called ‘idols of the mind’: that we tend to see order and regularity in nature when there is none is the idol of the tribe; that our judgements and are shaped by our language and concepts rather than what we see is the idol of the marketplace; and finally that are views of nature can be distorted by our philosophical and metaphysical systems of thought is the idol of the theatre. From this follows the positive content of Bacon’s method that we ought to make observations of nature that are free of these idols. It is from the mass of information gained through observation that we should make generalisations, rather than understanding our observations through generalisations, which he accuses the philosophers of doing. This he calls the ‘natural and experimental history’. It is important to understand what Bacon meant by observation is not just looking at the world, but doing experiments, and it this emphasis on experiments that distinguishes the new method from the old Aristotelian one. It is experiments that preserve the objectivity of observations. First, it allows them to be quantified and secondly that they can be repeated by others and thus tested as to their reliability. It is this data from experiments that are then put into tables. To use then example from Bacon of heat: first we have the table of Essence and Presence that lists those things that are directly part of the phenomena of heat; secondly, we have the list of Deviation and Absence, which lists those phenomena that are related to the first but have no heat; and then we have the list of Comparison, where features that have a quantity of heat are listed and quantified. The empirical method is one of elimination. Let us say I argue that the colour white is explanation of heat. Then I would check my tables and I would see that not all the phenomena that are hot are white, or that some phenomena that are white are not hot and so on. White, then, could not be part of theory of heat. Through this process of elimination Bacon explained that heat was caused by the ‘extensive motion of parts’, which is not far from the modern kinetic theory of heat. Bacon believed one can discover the forms that made what we observed possible, even though they were not directly perceivable. These forms where the direct physical cause of what we saw. This was the rejection of final causes, where natural phenomenon where viewed as purposive. The Aristotelian explanation, for example, that stones fall to the ground was because the earthly element sought to fall to the centre of the earth. Teleological explanations such as these are only suitable for human actions (since humans unlike stones do have desires) but not natural phenomena. The ubiquity of physical causes is the major different between new empirical science of the 17th century and the old science of Aristotle’s era that had dominated the explanation of nature for so long. There are, however, problems with induction. First, what is the status of the non-observed forms that are the physical cause of what we observe. How can we make a leap from what is seen to what is not seen? It is possible to see how heat might be explained by Bacon’s method since in fact we can see the motion, but how would we go about explaining radiation? Also, we see in science that there can be two competing forms that explain the same visible phenomena such as the two theories of light, for example. Bacon does have an answer for the last problem. He says that we ought to set up two competing experiments that would test what we observe and we could see which was the more successful. But this already demonstrates what we might doubt about Bacon’s new method. In this case are not the theories themselves determining the experiments and not what we observe? Bacon says that science is made from two pillars: observation and induction and that we ought to be able to observe nature without prejudice (the prejudices being the idols of the mind). This is perhaps what most people think that science is. We take many instances and then we generalise a law. Yet the problem is how we account for this mysterious leap from the particular to the universal. How many instances make a general law and if there is an exception does this mean that law is no longer a law? There are, then, two problems with the principle of induction as Bacon describes it. One is that we might doubt that any observation is unprejudiced. This is not just in a negative sense as Bacon describes it, but also positively, that without a theory it is hard to know what one would observe in the first place. If one didn’t have a theory of electricity why would you set up experiments to observe it? Secondly, we might worry about how it is possible to go from many observations to a general law. Just because X has happened many times before, how do we know we know that it will happen again? This problem of induction, as it is called, and was introduced by the Hume, and has for many made naïve induction untenable. We shall investigate this problem in next week’s lecture. Chalmers, A.F., 1999. What is this Thing Called Science? University of Queensland, St. Lucia, Qld. Gaukroger, S., 2001. 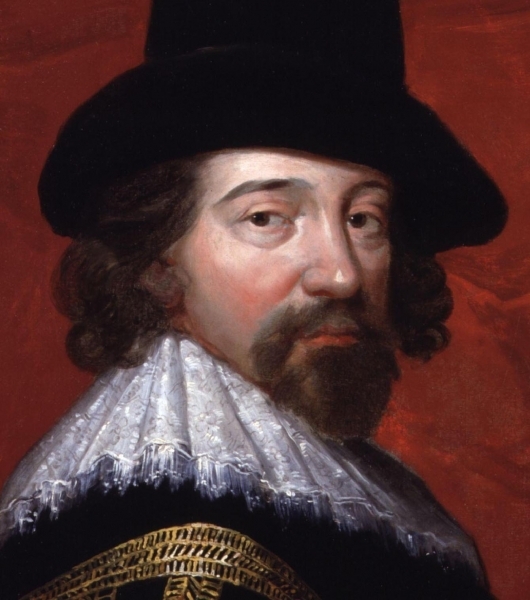 Francis Bacon and the Transformation of Early-Modern Philosophy. Cambridge University Press. Harrison, P., 2007. Was there a Scientific Revolution? European Review 15, 445–457. Ladyman, J., 2002. Understanding Philosophy of Science. Routledge, London; New York. Although Newton had not read Bacon’s work, his scientific method was widely seen as following his account of induction, and through the fame of the former, has become the ‘common sense’ view of science. For a general account of the importance of Bacon for the image of science, see (Gaukroger, 2001). See (Ladyman, 2002, pp. 22–5) for this summary of Bacon’s method. As we can see, what Bacon sees as idols, we might see as unavoidable necessities and this precisely prevents us from accepting the naive inductive explanation of science. On the importance of experiments to Bacon’s conception of science, and the subsequent transformation of science from a solitary to a communal affair, see (Harrison, 2007). Last week we spoke about the difference between science and religion. We said it could be conceptualised as one between belief and facts. The more, we investigated, however, what a fact is, the less certain we became of its status as a starting point for scientific investigation. Common sense might tell us that facts are just out there and we simply observe them and scientific theories are merely collections of these observations, but when we look at the history of science, however, it is clear that this is not how science works. What we take as facts are already determined by the way we understand and see the world, and our observations are equally shaped by this background conceptuality. In the next two lectures, we are going to investigate the problem of induction, which is probably the classic form of the philosophy of science, and we shall see that we’ll come up against the same barrier again. Moreover, the knowledge that science has of the world cannot itself be infallible, because of the very way that it interprets these facts. In this lecture, however, we’ll give a positive account of induction through Francis Bacon’s method in Novum Organum (1620). It is important to understand what Bacon meant by observation is not just looking at the world, but doing experiments, and it this emphasis on experiments that distinguishes the new method from the old Aristotelian one. It is experiments that preserve the objectivity of observations. First of all, it allows them to be quantified and secondly that they can be repeated by others and thus tested as to their reliability. It is this data from experiments that are then put into tables. To use then example from Bacon of heat: first we have the table of Essence and Presence that lists those things that are directly part of the phenomena of heat; secondly, we have the list of Deviation and Absence, which lists those phenomena that are related to the first but have no heat; and then we have the list of Comparison, where features that have a quantity of heat are listed and quantified. The empirical method is one of elimination. Let us say I argue that the colour white is explanation of heat. Then I would check my tables and I would see that not all the phenomena that hot are white, or that some phenomena that are white are not hot and so on. White, then, could not be part of theory of heat. Through this process of elimination Bacon explained that heat was caused by the ‘extensive motion of parts’, which is not far from the modern kinetic theory of heat. There are, however, problems with induction. First of all, what is the status of the non-observed forms that are the physical cause of what we observe. How can we make a leap from what is seen to what is not seen? It is possible to see how heat might be explained by Bacon’s method since in fact we can see the motion, but how would we go about explaining radiation? Also we see in science that there can be two competing forms that explain the same visible phenomena such as the two theories of light, for example. Bacon does have an answer for the last problem. He says that we ought to set up two competing experiments that would test what we observe and we could see which was the more successful. But this already demonstrates what we might doubt about Bacon’s new method. In this case are not the theories themselves determining the experiments and not what we observe? Bacon says that science is made from two pillars: observation and induction and that we ought to be able to observe nature without prejudice (the prejudices being the idols of the mind). 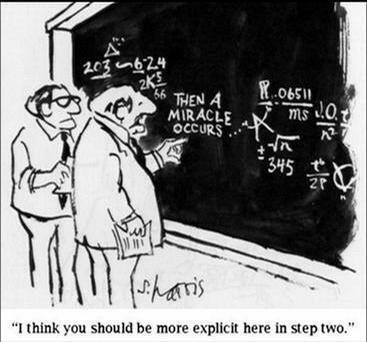 This is perhaps what most people think that science is. We take many particular instances and then we generalise a law. Yet the problem is how we account for this mysterious leap from the particular to the universal. How many instances make a general law and if there is an exception does this mean that law is no longer a law? There are, then, two problems with the principle of induction as Bacon describes it. One is that we might doubt that any observation is unprejudiced. This is not just in a negative sense as Bacon describes it, but also positively, that without a theory it is hard to know what one would observe in the first place. Secondly, we might worry about how it is possible to go from many observations to a general law. Just because X has happened many times before, how do we know we know that it will happen again? This problem of induction, as it is called, and was introduced by the Hume, and has for many made naïve ‘inductivism’ untenable. We shall investigate this problem in next week’s lecture. Last week we spoke about the difference between science and religion. We said it could be conceptualised as one between belief and facts. The more, we investigated, however, what a fact is, the less certain we became of its status as a starting point for scientific investigation. Common sense might tell us that facts are just out there and we simply observe them and scientific theories are merely collections of these observations, but when we look at the history of science, however, it is clear that this is not how science works. What we take as facts are already determined by the way we understand and see the world, and our observations are equally shaped by this background conceptuality. In this lecture, we are going to investigate the problem of induction, which is probably the classic form of the philosophy of science, and we shall see that we’ll come up against the same barrier again. Moreover the knowledge that science has of the world cannot itself be infallible, because of the very way that it interprets these facts. It is important to understand what Bacon meant by observation is not just looking but experiments, and it this emphasis on experiments that distinguishes the new method from the old Aristotelian one. It is experiments that preserve the objectivity of observations. First of all it allows them to be quantified and secondly that they can be repeated by others and thus tested as to their reliability. It is this data from experiments that are then put into tables. To use then example from Bacon of heat: first we have the table of Essence and Presence that lists those things that are directly part of the phenomena of heat; secondly, we have the list of Deviation and Absence, which lists those phenomena that are related to the first but have no heat; and then we have the list of Comparison, where features that have a quantity of heat are listed and quantified. The empirical method is one of elimination. Let us say I argue that the colour white is explanation of heat. Then I would check my tables and I would see that not all the phenomena that hot are white, or that some phenomena that are white are not hot and so on. White, then, could not be part of theory of heat. Through this process of elimination Bacon explained that heat was caused by the ‘extensive motion of parts’, which is not far from the modern kinetic theory of heat. There are, however, problems with induction. First of all what is the status of the non-observed forms that are the physical cause of what we observe. How can we make a leap from what is seen to what is not seen? It is possible to see how heat might be explained by Bacon’s method since in fact we can see the motion, but how would we go about explaining radiation? Also we see in science that there can be two competing forms that explain the same visible phenomena such as the two theories of light, for example. Bacon does have an answer for the last problem. He says that we ought to set up two competing experiments that would test what we observe and we could see which was the more successful. But this already demonstrates what we might doubt about Bacon’s new method. In this case are not the theories themselves determining the experiments and not what we observe? Bacon says that science is made from two pillars: observation and induction and that we ought to be able to observe nature without prejudice (the prejudices being the idols of the mind). This is perhaps what most people think that science is. We take many particular instances and then we generalise a law. Yet the problem is how we account for this mysterious leap from the particular to the universal. How many instances make a general law and if there is an exception does this mean that law is no longer a law? There are two problems with the principle of induction as Bacon describes it. One is that we might doubt that any observation is unprejudiced. This is not just in a negative sense as Bacon describes it, but also positively, that without a theory it is hard to know what one would observe in the first place. Secondly, we might worry about how it is possible to go from many observations to a general law. Just because X has happened many times before, how do we know we know that it will happen again? This problem of induction, as it is called, and was introduced by the Hume, and has for many made naïve inductivism untenable. We shall investigate this problem in next week’s lecture. Last week we spoke about the difference between science and religion. We said it could be conceptualised as one between belief and facts. The more, we investigated, however, what a fact is, the less certain we became of its status as a starting point for scientific investigation. Common sense might tell us that facts are just out there and we simply observe them and scientific theories are merely collections of these observations, but when we look at the history of science, however, it is clear that this is not how science works. What we take as facts are already determined by the way we understand and see the world, and our observations are equally shaped by this background conceptuality. In this lecture, we are going to investigate the problem of induction, and we shall see that we’ll come up against the same barrier again. Moreover the knowledge that science has of the world cannot itself be infallible, because of the very way that it interprets these facts. It is important to understand what he meant by observation is not just looking but experiments and it this emphasis on experiments that distinguishes the new method from the old Aristotelian one. It is experiments that preserve the objectivity of observations. First of all it allows them to be quantified and secondly that they can be repeated by others and thus tested as to their reliability. It is this data from experiments that are then put into tables. To use then example from Bacon of heat: first we have the table of Essence and Presence that lists those things that are directly part of the phenomena of heat; secondly, we have the list of Deviation and Absence, which lists those phenomena that are related to the first but have no heat; and then we have the list of Comparison, where features that have a quantity of heat are listed and quantified. The empirical method is one of elimination. Let us say I argue that the colour white is explanation of heat. Then I would check my tables and I would see that not all the phenomena that hot are white, or that some phenomena that are white are not hot and so on. White, then, could not be part of theory of heat. Through this process of elimination Bacon explained that heat was caused by the ‘extensive motion of parts’, which is not far from the modern kinetic theory of heat. There are, however, problems with induction. First of all what is the status of the non-observed forms that are the physical cause of what we observe. How can we make a leap from what is seen to what is not seen? It is possible to see how heat might be explained by Bacon’s method since in fact we can see the motion, but how would we go about explaining radiation? Also we see in science that there can be two competing forms that explain the same visible phenomena such as the two theories of light, for example. Bacon does have an answer for the last problem. He says that we ought to set up two competing experiments that would test what we observe and we could see which was the more successful. But this already demonstrates what we might doubt about Bacon’s new method. In this case are not the theories themselves determining the experiments and not what we observe? Bacon says that science is made from two pillars: observation and induction and that we ought to be able to observe nature without prejudice (the prejudices being the idols of the mind). This is perhaps what most people think that science is. We take many particular instances and then we generalise a law. Yet the problem is how we account for this mysterious leap from the particular to the universal. How many instances make a general law and if there is an exception does this mean that law is no longer a law? There are two problems with the principle of induction as Bacon describes it. One is that we might doubt that any observation is unprejudiced. This is not just in a negative sense as Bacon describes it, but also positively, that without a theory it is hard to know what one would observe in the first place. Secondly, we might worry about how it is possible to go from many observations to a general law. Just because X has happened many times before, how do we know we know that it will happen again? This problem of induction, as it is called, and was introduced by the Hume, and has for many made naïve inductivism untenable. We shall investigate this problem in next week’s seminar.